Unless you have walked IN THEIR SHOES™, you would never know the overwhelming feeling of sadness, anxiety and hopelessness that cause hundreds of young people to end their lives every year. 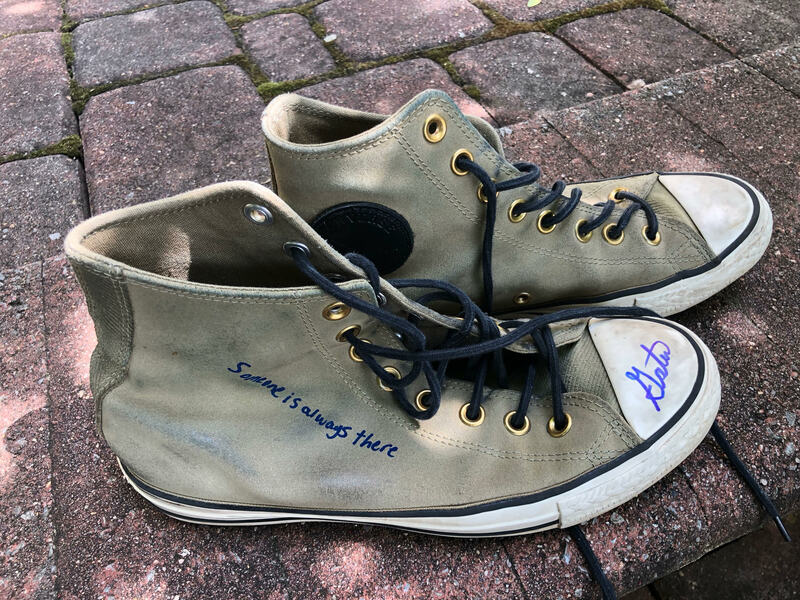 The exhibit consists of shoes to represent the New Jersey youth, ages 10 through 24, who lost all hope and ended their lives by suicide during the past three years. The exhibit was launched on September 10, 2013, World Suicide Prevention Awareness Day, at the New Jersey Department of Human Services. According to then- NJDHS Commissioner Jennifer Velez, Esq. : “The IN THEIR SHOES™ display is literally breathtaking. 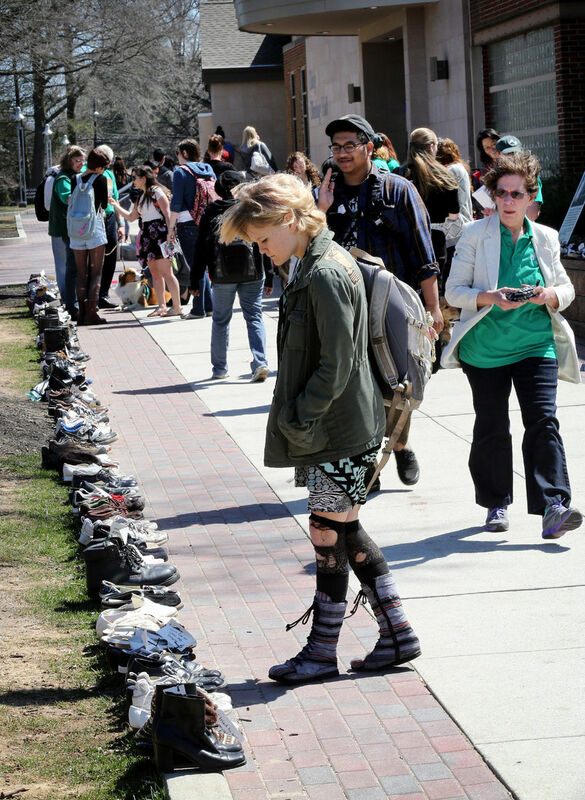 The power of seeing all of those empty shoes stops you in your tracks and sends a message that serves as an invaluable tool in the efforts to prevent suicide." 1) Let youth know they are not alone in their thoughts and struggles. 2) Educate those who do not understand how difficult it is to live with a mental health disorder, to increase understanding, empathy and kindness towards those who struggle. In addition, we have our VIP In Their Shoes™ exhibit. 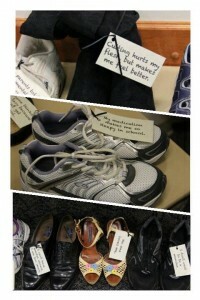 These shoes are donated from celebrities, with inspirational quotes to inspire youth. 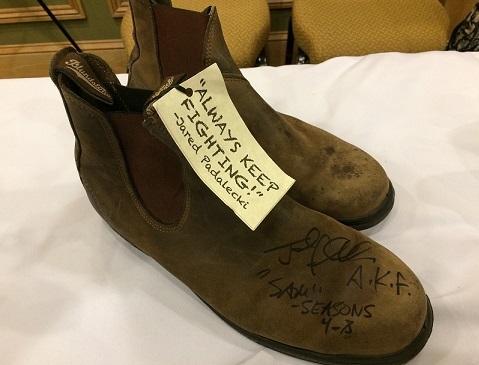 AIR has shoe donations from Former Congressman Patrick Kennedy, Governor Richard Codey and actors Glenn Close, Gaten Mattarazzo, Jared Padalecki, Jensen Ackles, and more. We ask for a table to share informational printed materials to share with students. 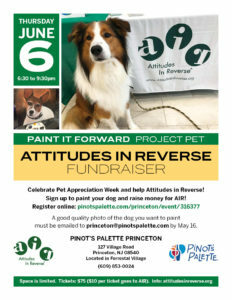 We will also bring a minimum of one of our AIR Dogs, who are certified therapy dogs and provide comfort to anyone who may have an emotional reaction to the exhibit. We recommend that student mental health services have a table to help any at-risk student that may self-identify as experiencing mental health difficulties after observing the shoe exhibit. In high schools, the exhibit is written into the day's curriculum for students. 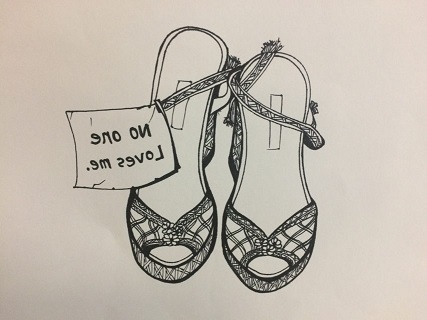 Each English student selects a pair of shoes and writes a short story or poem about the person they imagine who wore the shoes. Art students review the tags and pick shoes to draw or paint. Psychology students write the possible details of an individual’s mental health disorder. Contact AIR about bringing the IN THEIR SHOES™ exhibit to your college, university, school or other event. Start THE Conversation. Reverse an Attitude. SAVE A LIFE.